Ask Away: How Do I Ask for a Raise? This Week’s Question: While many people may feel like they deserve a raise, they often don’t broach the subject with their supervisors. It’s a nerve-wracking and tricky situation! So, this week, we ask: what’s the best way to ask for a raise? How can people confidently raise the issue with their supervisors — and get the reward they deserve? “Asking for a raise can be like walking into a sea of the unknown, so being prepared will give you the confidence you need to go through the process, because if you don’t ask, the answer is always no. “Be prepared before making that step and know exactly what it is that you are asking for and why you are asking for it. Take documentation to substantiate what you are asking for and approach it as more of a conversation, rather than a ‘This is what I want’ type of situation. Have an open discussion with your supervisor about your performance, the duties in your role, and what you are prepared to additionally contribute based on the raise that you are asking for. “Another option is to ask for a raise over time, rather than a lump sum up front. 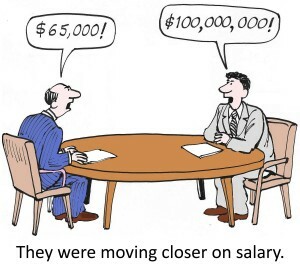 Propose a portion of the raise now and then negotiate the remainder after a review in 6 months, 12 months, etc. “Consider the process of asking for a raise as a value proposition to the company. Gather your facts that demonstrate how much value you bring to the company based upon your track record of showing results that lead to increased revenue. Take a non-emotional stance [on] the situation and [stick] to the facts. It is not about what you need. It is about showing how valuable you are to the company and why you are underpaid, as compared to [the rest of] your industry. “Over the course of the year, send a short note to your boss at the end of each week, just keeping him or her apprised of everything you did during that week. Come evaluation time, the boss may well use those notes to help write the evaluation. And at the very least, you’ll have all that ammunition when it’s time to discuss raises. “Schedule a meeting with your manager and go in knowing what you want. If a raise is out of the question, be prepared to answer the question ‘Why do you deserve additional compensation?’ Set seniority aside and really showcase your value to the company and why you are deserving of more. Come in with numbers and figures to prove to management that you are a stellar employee and how you’re going to continue to benefit the company. Know what you want, go in with confidence, and prove that you deserve this. “[It's] always tricky [to ask for a raise], but necessary, because in many companies, raises are not given unless you ask for one. It all comes down to showing your value through concrete results. “First, prepare a list of what you have done to contribute to the company recently that has resulted in a positive outcome — increasing revenue is always best. “Second, put your case together in a format that show the results, [like] a chart or a report, so that [your achievements] cannot be debated. “Third, make an appointment with your boss to meet and let him/her know it’s about compensation so that he/she does not feel blindsided. “Fourth, rehearse your presentation with a person outside of your company — a mentor, family [member], or friend — to be confident and comfortable.